The most powerful green juice money can buy. Condenses 52 organic superfoods, probiotics, & digestive enzymes into one tasty scoop. Provides a substantial boost to energy and focus. Even professional athletes use this stuff. Unlike most green juice powders, it tastes pretty darn good — especially in smoothies! Summary: Touchstone Essentials developed the holy grail of green juice powders. It’s simply unmatched by any other brand out there that I’ve tested. 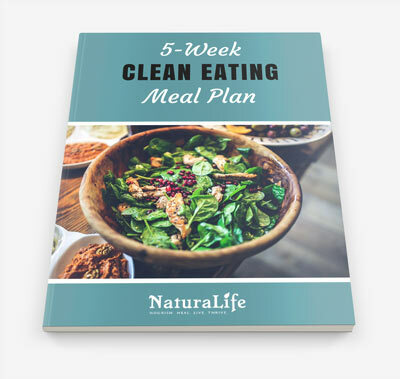 It features some of the world’s healthiest superfoods, powerful adaptogenic herbs, immune-enhancing mushrooms, and probiotics to encourage a healthy gut. This is the only product that I know of that stuffs this many health-boosting substances into a single powder. And what really separates them from other green juices is their quality. All ingredients are organic and they use gentle processing methods to ensure that the maximum amount of nutrients are preserved (this is important). While it may have a slightly higher price tag than other green juices, you get what you pay for: a superior quality and downright effective product with a difference you can feel. If you’re still not convinced, scroll down to see my deep-dive review of the product. I explain how I use it, why it’s the best, and most importantly all some of the benefits you can expect to see from using it. What is Green Juice Powder and Why Use It? Drinking juiced superfoods is regarded as one of the healthiest things you can do for your body. It’s one of the best ways to deliver a variety of health benefits in a single serving. It’s messy. It takes a lot of time. And most importantly, if you’re looking to get a specific health benefit out of juicing, it can be really difficult to know what ingredients to use. If any of these things prevent you from juicing more often, let me introduce you to something called juice powders. Juice powders have everything you would expect to find in your standard superfood juice plus a whole lot more. They make it easy to get high concentrations superfoods into your diet without having to eat a large amount of food. Simply put, they provide all the health benefits of juicing, without the hassle. The only downfall of using powder is it’s not fresh. It’s a small compromise for how convenient it is and how much money you save in the long run. Like most health products on the market, there are a ton of options when it comes to superfood juice powders. But very few of them are high quality and contain a wide range of health-enhancing ingredients. And the super green juice by Touchstone Essentials is one of the few. Their superfood organic juice powder transcends all other juice powders making it, hands-down, one of the best juice powders out there. In this review, I’m going to explain what makes this juice powder the best. But first let me show you the best ways to use the powder. Touchstone Essentials recommends you combine a single scoop with water or your favorite juice / smoothie. In all honesty, it tastes a little rugged when you only mix it with water. Mixing it with water is great if you’re in a rush, but otherwise I wouldn’t recommend it. By far my favorite way to consume this juice was to mix it with my Garden of Life protein powder. It’s really invigorating after a long workout or run. It’s fantastic in most smoothies. When mixing it with juices, however, you should keep the flavor of the juice in mind to make sure it doesn’t clash with the powder’s taste. When I have a really busy morning and only have time to eat sprouted toast for breakfast, I like to gulp down some of this powder with water or coconut water to make up for my lackluster breakfast. There are many other ways to drink this powder, but these are definitely the moments I enjoyed it the most. That way you will have plenty of ways to try it, so you can see what works best for you. I have really high standards when it comes to health supplements. I mean, you really have no other choice but to have high standards because there are so many low quality health products out there. You see if you’re not careful with selecting the right health supplements, they can end up doing way more harm than good. For example, this problem is common with fish oil supplements. Low quality fish oil supplements can actually cause inflammation rather than reduce it. That’s why I always suggest my guide to selecting a quality omega-3 supplement. Since quality is always an issue with supplements, I spend a long time researching products, evaluating their quality, and even digging into the company (because that often reveals a lot about the product). To give you some perspective, I spent a week researching this juice before I even considered giving it a try! And then I tried this product myself for another 2 weeks before I decided to review it. I even talked to the CEO, Eddie Stone (he’s a great, down-to-earth guy by the way), to learn more about the quality standards the company adheres to. To show you I don’t promote just any product. I only promote the best. Heck, I’m not even getting paid for this review—so this review is 100% honest. Flawless quality. Touchstone essentials has set strict quality standards for their products. All ingredients are organic and non-GMO. And there’s no sketchy preservatives. An exceptionally wide range of health benefits. The 50+ ingredients in this juice powder have some impressive properties including digestive support, immune enhancement, cancer prevention, energy enhancement, and much more. All of which are supported by scientific evidence. It tastes better than most juice powders. Although I still would suggest consuming it with a smoothie or some other flavored drink, it tastes much better than most green juice powders out there. Whatever you do, just don’t judge it by its smell. Ok now that you have seen the ways you can consume this super green juice and what makes it so great, let’s explore how it can benefit your health in several different ways. The organic super green juice powder by Touchstone Essentials is designed to nurture several aspects of your health. But if you look at the back of the container, they have the ingredients broken down into 4 different blends which are designed to benefit specific areas of your health. To keep this review as simple and organized as possible, I’m only going to evaluate the 4 different blends to see if the contents will truly provide health benefits. Normally I’m skeptical when a product claims to provide that many health benefits. And rightfully so as most products out there either have ingredients that don’t always agree with the scientific evidence that exists. Or they’re prepared in such a careless way that ends up making it cause more harm to your body than good. That being said, let’s dive a little deeper into each of the blends to see what the science says about them and what makes this super green juice powder so impressive. The idea of alkalizing (raising your body’s pH) your body is a bit of a controversy at the moment. Some claim that alkalizing your body through foods or herbs can provide a number of health benefits such as cancer prevention. On the other hand, some experts claim there’s no evidence that an alkaline diet prevents cancer or benefits your health by altering your body’s pH (making it more alkaline). They believe that alkaline diets have no effect on your health because your body has a natural pH buffering system that’s always working to maintain an ideal pH despite what you’re eating. It’s a huge debate, and I’m not going to get into it here. But the point is, even if diet has no significant effect on your body’s pH levels, the foods that are supposedly “alkalizing” are quite healthy on their own. 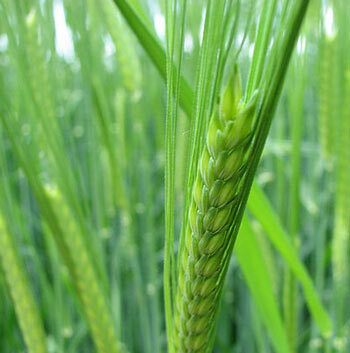 For example, when someone is put on an alkaline diet, they are told to primarily eat plants, and avoid sugar & wheat. That’s a good foundation for a healthy diet. The point is, even if alkalizing foods don’t significantly change your body’s pH, the foods are healthy anyways so you’re likely to improve your health one way or another. All of these ingredients deliver an impressive list of health benefits even if they don’t alkalize your body. For instance, while organic barley grass is thought to help your body become less acidic, it also is a powerful antioxidant, it bolsters your immune system, prevents cancer, and even protects your body from radiation damage. If you looked into all the other alkalizing blend ingredients, you would see a similar trend. So if you’re concerned about the alkalizing controversy, just ignore it for the purposes of this product? The “alkalizing” ingredients are going to benefit your health one way or another. Like alkalizing your body, detox is a controversial word because experts argue whether it’s a myth or if detoxing foods really help your body get rid of toxins. What is agreed on, however, is certain foods can strengthen your liver, which can help your body become more efficient in getting rid of toxins. The blend does have ingredients which can give your liver a performance boost such as broccoli and spirulina. But in order to keep it simple, let’s just ignore the word “detox” for now and focus on the energizing characteristics of this blend. Because like the Alkalizing blend, most “detox” foods or substances are healthy in their own right–even if they don’t detox your body. I’m a bit of a nerd when it comes to natural remedies that can boost your energy. That’s because there was a time in my life when I was fatigued beyond belief on a constant basis. At one point, I was fed up with feeling the way I did. So I dug deep into studies, clinical trials, anecdotal testimonials, you name it. In my research, I came across countless substances which claimed boost your energy. Very few of them actually worked. But the substance that do work, can be found within the energizing blend. Touchstone Essentials has clearly done their research with this blend because most of the ingredients have been shown in studies to enhance endurance and energy. Among the blend’s ingredients are several adaptogenic herbs, which are the kings of natural energy enhancement. Adaptogens such as eleuthero, rhodiola rosea, and ginseng have been shown by a number of studies to support your adrenal glands. Your adrenal glands are responsible for producing cortisol, a hormone that controls how the body makes and uses energy. Simply put, these herbs (adaptogens) can help you cope with stress and have more energy throughout the day. The blend also contains other “superfood” substances such as spirulina, which among many other health benefits, has been shown to unlock sugar from your cells to give you an energy boost. Digestive health is, hands-down, one of the most underestimated aspects of wellness. In fact, the root of most diseases (besides genetic diseases) can be traced back to an unhealthy gut. That’s why it’s essential to keep a healthy and happy gut. All of these ingredients are essential for a healthy gut. Collagen or bone broth are needed for healing something called leaky gut syndrome which silently affects a large number of people—plus they are good for your digestion anyway. Their reason, however, for not adding collagen or bone broth is because they wanted to keep the powder vegan-friendly. And I totally respect that. So if you still want bone broth / collagen, I would just suggest making your own and getting it in your diet that way. Antioxidants are molecules which prevent oxidation, a process that produces something called free radicals. Free radicals often cause damage to cells and have been linked to aging, cancer, diabetes, and countless other diseases. The bottom line is, antioxidants prevent your cells from getting damaged and help keep your body free of disease. So, as you can imagine, getting antioxidants into your diet is critical to keep a healthy, disease-free body. And that’s exactly what this blend provides: a good dose of antioxidants from a variety of foods, herbs, and mushrooms. All of these substances have been shown in various studies (click the links above to view the studies) to strengthen your immune system. Most of the substances found in the blend also provide health benefits well beyond disease prevention and immune enhancement. Cordyceps, for example, has been shown to improve the functioning of the heart, prevent aging, and even fight off fatigue. Turkey tail contains cancer-blasting compounds. And tremella mushrooms have been suggested to prevent the buildup of plaque in arteries and protect the liver. 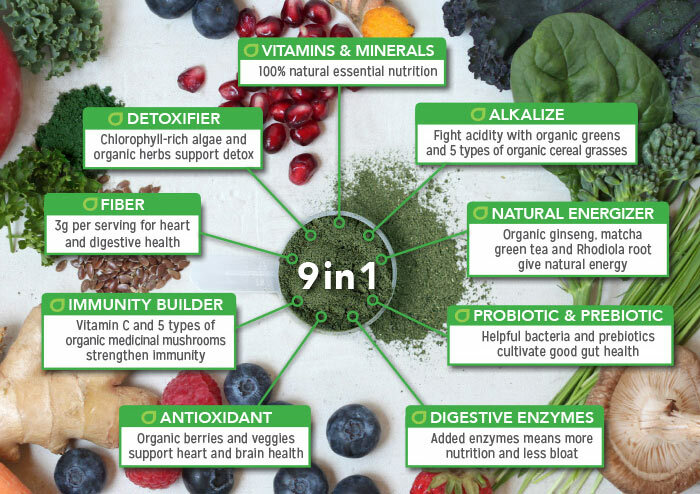 The potential health benefits of this superfood juice powder go well beyond what the blends have been formulated for (alkalization, energy enhancement, digestive support, free-radical protection, and immune support). That’s because Touchstone Essentials has done a phenomenal job in the formulation of their blends. While consuming this juice powder on a normal basis, I noticed an effect after a little more than a week for drinking it every other day. I felt more energized, clear-headed, and it even reduced my post-workout fatigue. Considering how it made me feel and all of the scientifically supported health benefits of the blends, I would highly recommend this product to anyone who is looking to vastly improve their health. And in all honesty, I have never seen a supplement packed so full of health-enhancing substances. It’s truly a superfood of superfoods in its own right. Are Green Juice Supplements Worth it? At first glance, I thought superfood juice powders were a complete ripoff. But the price is deceivingly high. Because in reality, it’s a huge bargain for what you’re getting. If you were to buy a normal vegetable juice at a store, you’re looking at $7-12 for 1, maybe 2 servings. Since the super green juice contains 30 servings, you would end up paying $210-360 for the same amount of juice. I don’t know about you, but I would much rather pay $56 than $210 for the same amount of green juice. And there’s a high chance that this juice won’t contain nearly as many ingredients to boost your health as the Touchstone Essentials green juice does. I’m betting that if you bought the same ingredients found in the Touchstone Essentials green juice, you would spend well over $360 for 30 servings. 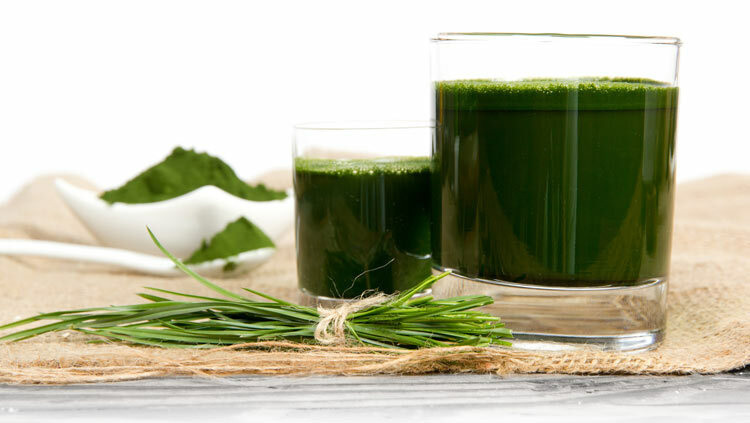 Taking the servings into consideration, that the powder is high quality, and it contains significantly more ingredients than fresh juices, the super green juice is more than worth it. It’s a bargain if you can get past the initial investment. Like with any health supplement or anything you put in your body for that matter, you need to tread carefully. First and foremost, it’s always suggested that you talk to your doctor before you try any supplement. This is because there are several substances, although natural, that can negatively interfere with any prescription drugs you’re on or any conditions you may have. 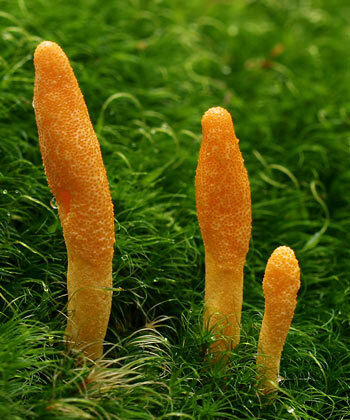 Cordyceps, for example, can lower blood sugar levels. This can cause some issues for diabetics which is why I would suggest consulting your doctor before taking any supplement. Another concern I have is pregnancy safety. Since many natural herbs and supplements don’t have the funding for testing, they haven’t been adequately tested for safety with pregnant women. That doesn’t mean it’s unsafe to take, but it does mean that it’s not worth the risk to take while pregnant because the scientific community simply doesn’t know whether it is safe or not. While I am overall impressed with this juice powder, nothing is perfect. Through all the extensive research I have done and experimentation, I have come to some ideas as to how this product can be improved. I would love to see the brand invest a little into some absorbability research. In other words, nothing on the packaging states whether the product should be consumed with or without food. This could be brought even further and they could investigate whether the juice powder is absorbed better with healthy fats (as I anticipate it would be). They then could put these findings on the packaging to increase the effectiveness of the juice. Although it doesn’t say on the packaging, I was told that it may be a good idea to store the powder in the refrigerator to help protect the integrity of the ingredients. Refrigeration isn’t necessary but it may be a good idea if you will take a while to finish the container. If you plan on using up all the powder in 1-2 months, however, refrigeration isn’t necessary. There are a few other products worth mentioning and you can see them below. If you choose to check them out, you will quickly realize that the Touchstone Essentials green juice powder is, by far, the best option. But I figured I would at least provide a list of the top runner-ups to Touchstone Essentials. There are several other green juice powder options out there, but most of them fall flat in comparison. 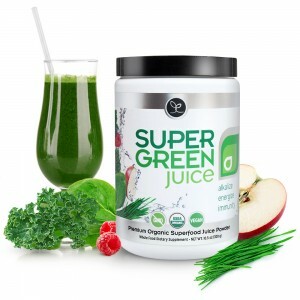 The Touchstone Essentials organic super green juice transcends all other products of its kind due to its large variety of health-boosting ingredients and its superior quality standards. After heavily researching this product, looking into its quality standards, speaking to the company’s CEO about their quality assurance measures, and trying the product for more than 2 weeks, I can truly say that this product is the best organic green juice powder on the market. But if you don’t want to take my word for granted, that’s understandable. Give it a try or do the research yourself. I would also like to remind you that I have not been paid to create this review. The contents of this review are 100% based on my personal findings and experiences. That being said, I do make a small amount of money if you decide to pick up the product on Amazon through my link. It’s not much, but it really helps cover the costs of running this blog and maybe my rent (if I’m lucky). If you decide to support me and purchase the super green juice through my link, you have my sincerest thanks! I couldn’t do this without people like you. I have to admit, I was skeptical at first to try this green juice product. It’s a bit expensive. But after reading this article, I decided might as well give it a try. Oh my gosh am I glad I tried this stuff!!! My energy levels have improved by a lot, my mind feels more clear and it seems I have had an easier time losing weight (but that part could be all in my head). Either way, this is something I will certainly use every day. It’s totally worth it!